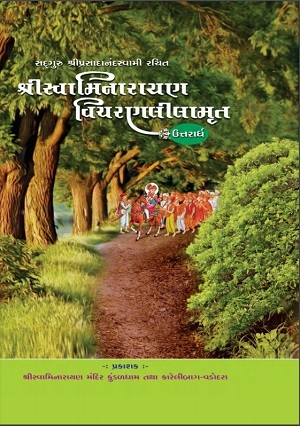 Swaminarayan Vichran Lilamrut Utrardh is the second half of Swaminarayan Bhagwan’s biography – the first being Swaminarayan Bhagwan Purvardh. It was written by Pu. 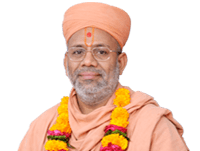 Sadguru Shree Prasadanand Swami who spent quality time with Swaminarayan Bhagwan and was a beneficiary of His benedictions. This first version of this scripture was published by Shree Swaminarayan Mandir - Kundaldham, and Karelibaug, Vadodara on November 3rd, 2013 and a newer version in early 2015. Swaminarayan Vicharan Lilamrut Utrardh encompasses Swaminarayan Bhagwan’s life story during the second half of His human stay on Earth. 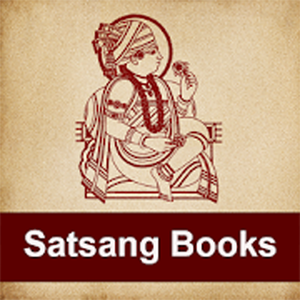 The scripture vividly describes the places He went, villages He bestowed by His divine presence, temples He built, along with myriad festivities that he conducted for the benefit of His devotees. Swaminarayan Bhagwan led his life by example so that His followers could tread His footsteps leading to blissful life full of devotion and love for Maharaj in this world and beyond. This scripture gives us in-depth insights into how Swaminarayan Bhagwan exemplified dutiful lifestyle.